Prospect Mountain is an ideal choice to hike in the spring. Why? Because Veterans Memorial Highway doesn't open until Memorial Day Weekend, so you can enjoy the spectacular view without the crowds! What's really cool about Prospect Mountain is that there is plenty of room to walk around, eat a picnic lunch, and explore when you get to the top. It isn't like other mountain summits where you're basically just standing on a rock. Shelving Rock is another excellent hiking choice for the spring, again because it's much less likely to be as heavily trafficked as it would in the summer. This is a popular hike because it's considered to be relatively easy and is ideal for beginner hikers, but you still get amazing views. Bonus recommendation: If you'd like to take a walk outside, but maybe aren't up for hiking a mountain, you might consider Battlefield Park, especially if there are any history buffs in your group. The park is located right in the village near Million Dollar Beach and has an interpretive path that's easy to walk and has educational information about the park. And again, coming in the spring means fewer crowds, so parking should be super easy! One recommendation with hiking in the spring: It's mud season, so make sure you have sturdy hiking boots you don't mind getting a little dirty! Ready for a Girlfriends' Getaway? Start at The Sagamore! Mother's Day Weekend is a perfect excuse to visit the Lake George region! Come with your mom or a group of friends for the weekend and you can make The Sagamore Resort in Bolton Landing your base of operations, as they host a Girlfriends' Getaway each year at this time. The event includes a full weekend of movitvational talks, fitness and wellness classes, entertainment, a fashion show and more. While in town for Mother's Day Weekend, you might treat your mom to an exquisite dining experience at Bistro LeRoux, a slightly out of the way, upscale restaurant that can be difficult to get into during the summer months. 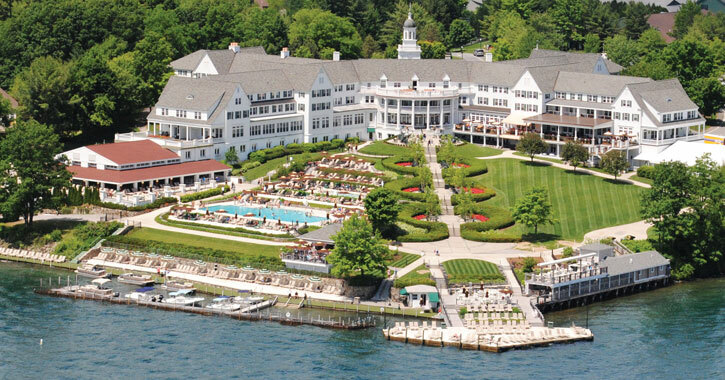 And if you're not staying at The Sagamore, there are numerous other Lake George lodging options that are open year-round. Speaking of Mother's Day, if you haven't gotten your gift yet, you might check out the plethora of shopping opportunities in the Lake George region. 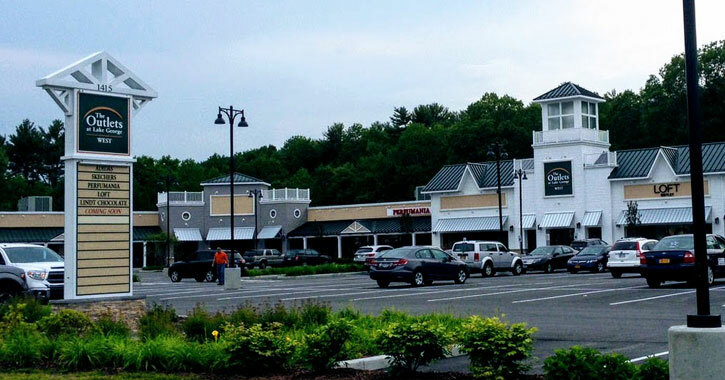 Some of the shops on Canada Street don't open until the summer, but you'll still have your pick of high-end brands your mother is sure to love at The Lake George Outlets: Ralph Lauren, Lane Bryant, J. Crew, Tommy Hilfiger, Banana Republic, Coach, and Vera Bradley. They also have Yankee Candle! If you're visiting Lake George with your mom you might take her on a shopping excursion and let her pick out a little something special for herself. She's likely to just be happy spending the weekend with you, but buying her a little treat certainly couldn't hurt! If you're looking for a Lake George- or Adirondack-themed gift, you can check out Live Love Laugh, which is located right on Canada Street, or Love is On Lake George online at LoveIsInNewYork.com. Both have unique, locally-inspired products, some of which have the shape of Lake George. Live Love Laugh is open every day of the week starting on May 15th. If you're interested in decadent wine, refreshing beer, and refined spirits, the Lake George area is a treasure trove of craft beverages! The Adirondack Winery is not only open all year, but they often have really awesome events going on at this time of the year, such as their annual anniversary dinner - as of 2019 they've been in business for 11 years! They're located right on Canada Street, and also have a tasting room in Bolton Landing. Lake George Distilling, which has a tasting room on Canada Street, is open year round, along with the Adirondack Pub & Brewery. The Springbrook Hollow Farm Distillery, Bolton Landing Brewing Company, and Lake George Brew House have hours that can vary depending on the season, so if you're interested in one of those craft beverage experiences you'll just want to call them ahead of time to confirm hours or schedule a tour. 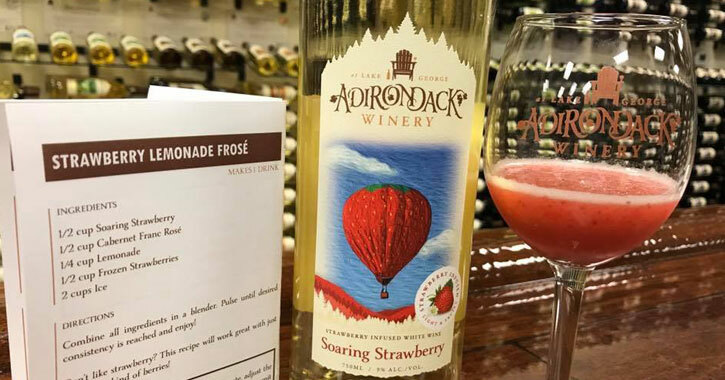 Keep in mind the various craft beverage businesses may have events going on in the spring that you can check out, as Adirondack Winery often does. Up for an Adventure? You Got One! Visiting the area with an adventerous crowd? Lake George will not disappoint! Adirondack Extreme Adventure Course in Bolton Landing opens for the season in 2018 on April 7th and will be open on weekends until May 22nd, when it will be open daily. What is this extreme adventure, exactly? It's a high wire tree top course! And, have you ever been parasailing over Lake George? This is simply a must-try activity, and they open for the season on May 11, 2018. You can make the most of Lake George on land and on the lake, but if you haven't experienced this majestic area from 300 feet in the air you are really missing out. If you're not super outdoorsy, or are maybe looking for an adventure on a rainy day, you can stop by Tru-Escape at the nearby Aviation Mall for mystery and escape rooms! Solve puzzles and find clues to unearth the mystery of the room. Where does the snow go when it melts? Into the water! 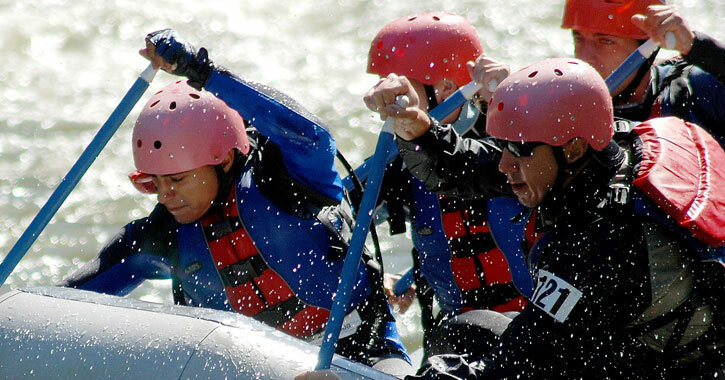 If you're really up for an adventure, spring is whitewater rafting season. One thing to be aware of, though, is that whitewater rafting in the spring is different from the summer. The water is going to be incredibly cold, you'll likely need to have a wet suit or rent one from the facility, and they may not allow children. 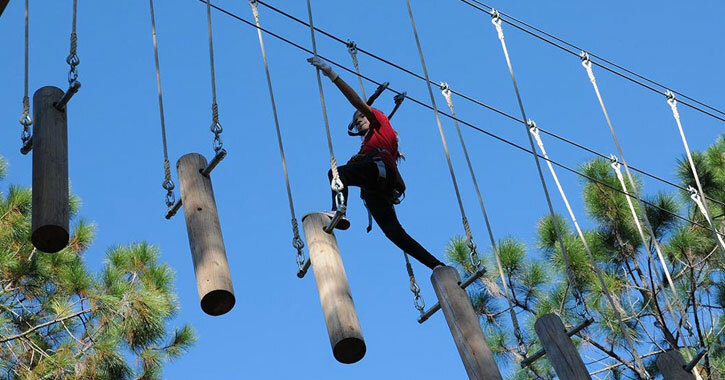 If everyone in your group is over the age of 18 and you're up for this thrill, go for it! Just make sure you call the place ahead of time to find out everything you'll need and what to expect for a successful trip. For a real whitewater adventure you could check out Wild Waters Outdoor Center in Warrensburg, which opens in mid-March, or Sacandaga Outdoor Center, which opens on May 26, 2018. If you're curious about whitewater rafting, but would maybe like to get your feet wet before embarking on a full rafting trip, you might consider Adirondack Adventure Center in Lake Luzerne. They offer both lazy river tubing and rafting on calm, pristine waters that are only between two and four feet high, and they open Memorial Day Weekend. Did you know? 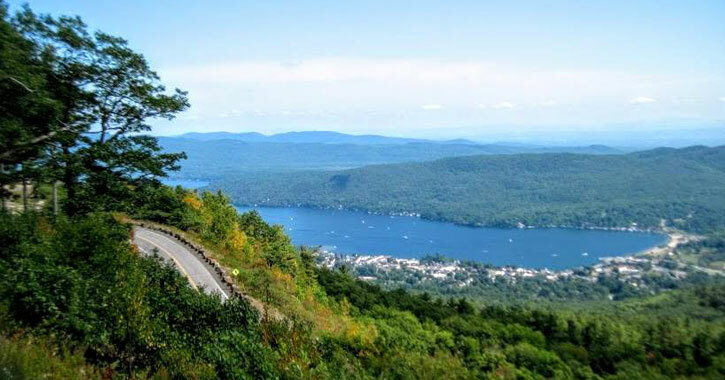 Lake George has scenic biking routes and you don't even need to own a bike to make use of them because you can rent one! Pick up a bicycle for the day from Lake George Bike Rentals, located right in the village next to The House of Frankenstein. Each bike rental includes a brand new TREK bike, a helmet, a bike lock, and a Warren County Cycling Guide and Map. You'll have everything you need for the perfect biking excursion! Lake George Bike Rentals opens Memorial Day Weekend. 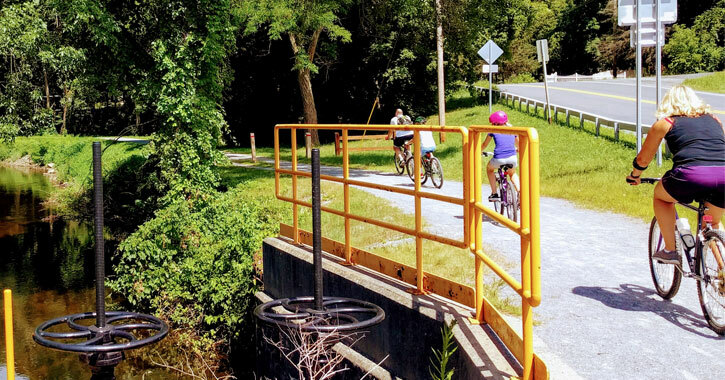 The two main bike routes in the Lake George area to try are the Warren County Bikeway, the entrance of which you'll find right by where the steamboats dock at the southern tip of Lake George, and the Feeder Canal Trail, which connects to the Warren County Bikeway. Just keep in mind these are multi-use trails, so you'll need to be on the lookout for people walking, running, and rollerblading. End spring with a fun festival! 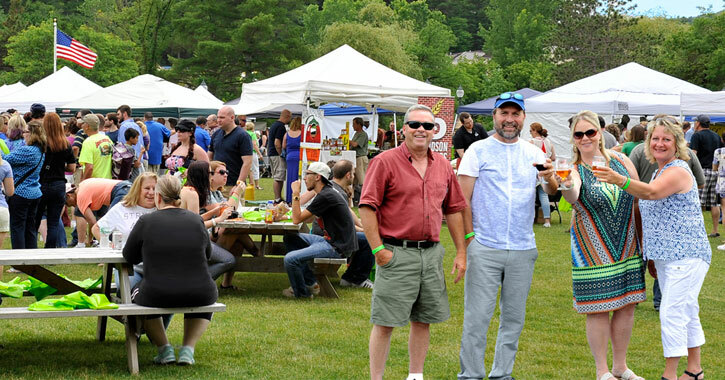 The Adirondack Wine & Food Festival is the kick-off event into the summer season and it's happening June 29th and 30th in 2019 at the Charles R. Wood Park Festival Commons. Plan ahead this year and save money by buying your tickets in advance! The festival not only showcases the best local wineries, breweries, and distilleries, but the event also includes artisanal food vendors, food trucks, and cooking demonstrations.